John Teague is a fire investigator at Fire Cause Analysis. 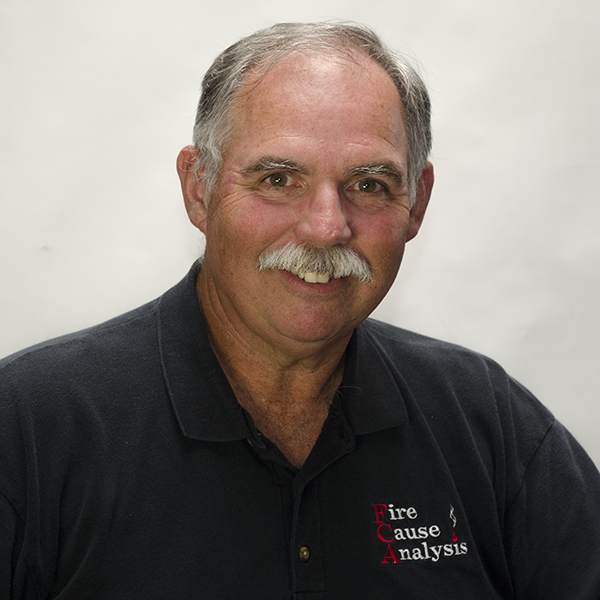 He has investigated hundreds of fires as a private investigator for Fire Cause Analysis, and is certified as a qualified fire investigator with three nationally recognized governing organizations: International Association of Arson Investigators (IAAI), National Association of Fire Investigators (NAFI), and California Conference of Arson Investigators (CCAI). John has experience working in the public sector doing fire investigations, public education, and assisting law enforcement in searching for victims, weapons, stolen property, vehicles and other submerged objects possibly used in a crime or accident. He has also been a self-employed professional photographer for commercial and documentary photography. John is teacher of basic fire investigation photography and is regular speaker at professional photographer of america seminars and conventions.